A versatile tool for your barbecue. Drops easily into the grill for steaming or deep frying. 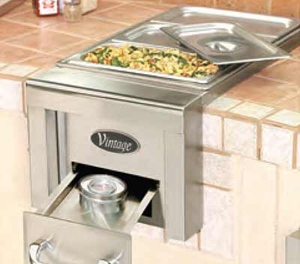 With 17,000 BTUs of power, Vintage™wind-protected sealed brass burners may make your regular kitchen range feel obsolete. Features Precision-Fire™ 9v electronic ignition and is available for cart model grills or for built-in installation. 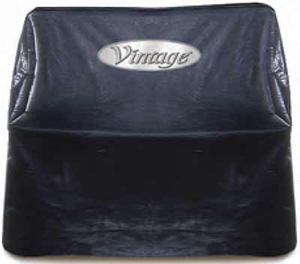 All models include a matching stainless steel cover for protection from the elements. 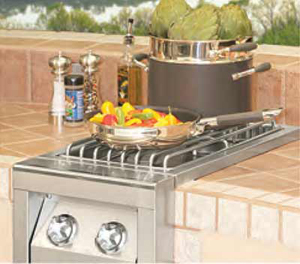 Three stainless steel pans keep hors d'oeuvres and side dishes warm. 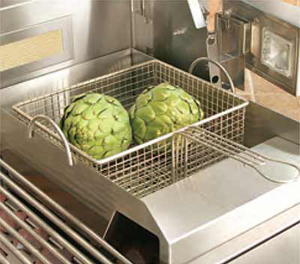 For built-in or for cart model (also mounts on freestanding grills or freestanding bartending centers). 3/16" thick cold rolled steel surface usable on all Vintage side burners. 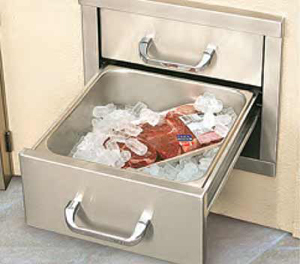 Keep your drawer contents above the melted ice water with these ingenious drawer inserts. Your food will stay fresh and cold longer. 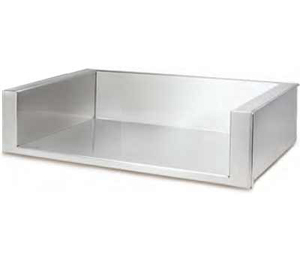 All stainless steel with internal storage shelf. Available in three sizes. 21", 30", 42". 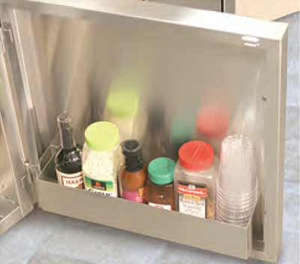 Deep doors and racks allow convenient storage of sauces, spices, oils and other grill accessories. 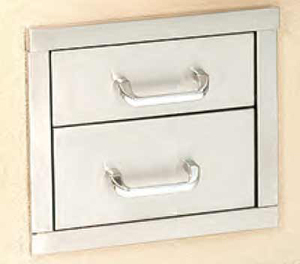 This beautiful and functional storage drawer is designed to match the Vintage Radiant Warming Drawer. Three widths to choose from: 27", 30", 36". 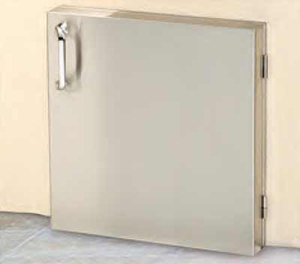 All stainless steel enclosure holds trash receptacle behind an attractive door. 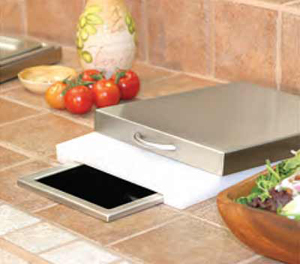 Waste chute features a sliding cutting board under a removable stainless steel cover. 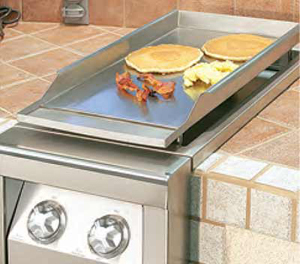 If your built-in grill is going into a combustible enclosure, then an insulated jacket is required. 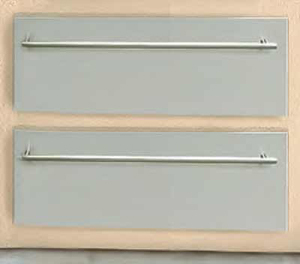 Depth = 24 1/2", Height - 11 1/4"; add 6 1/2" to grill cut-out width.